Writing a headline or title is sometimes hard – I’ve often written an entire blogpost and then spent almost as long wondering what on earth I’ll put at the top of the page. Headlines are important; they draw people in to your content, they summarise and provide some idea as to what you’re writing about, and sadly, they sometimes act as unrepresentative clickbait which serves to confuse. Yesterday, IFLS published an article about some research into new cancer therapies, an article which they reblogged from The Conversation. The research is interesting – cancer cells stimulate the over-production of a protein which allows them to use glucose to grow faster, and inhibiting or reducing levels of this protein starves the cancer cells, causing cell death. Like many discoveries about the growth, development, and death of cancer cells, this could potentially influence treatment for cancer patients, and that’s good news. 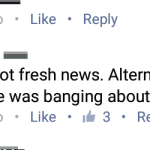 The reporting of this news, however, is anything but good. 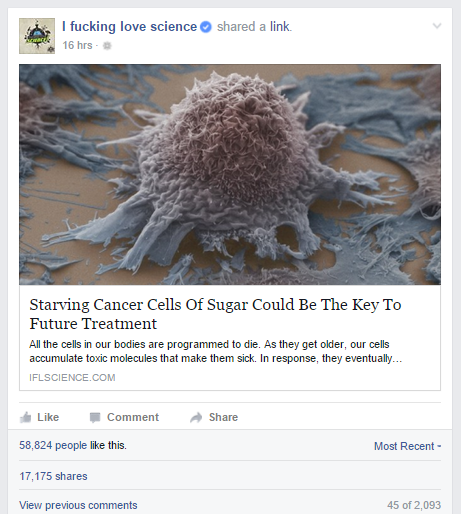 Both IFLS and The Conversation lead with the headline “Starving cancer cells of sugar could be the key to future treatment”. And, in a sense, they are correct. Inhibiting the protein starves the cancer cells by damaging their ability to use glucose for growth. 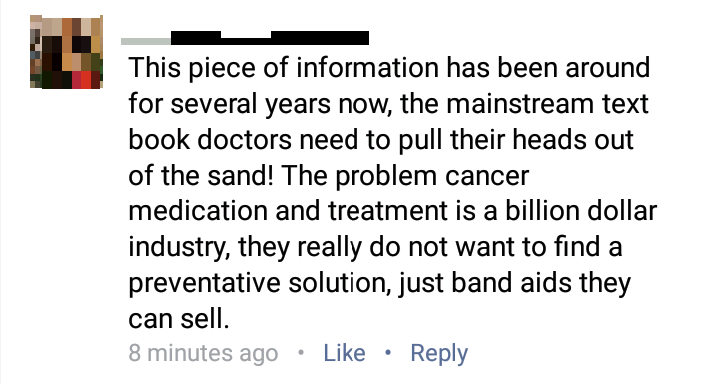 The problem is that IFLS and The Conversation are not the first people to say that “sugar feeds cancer”, even if what they are saying is a good deal more complicated than that. 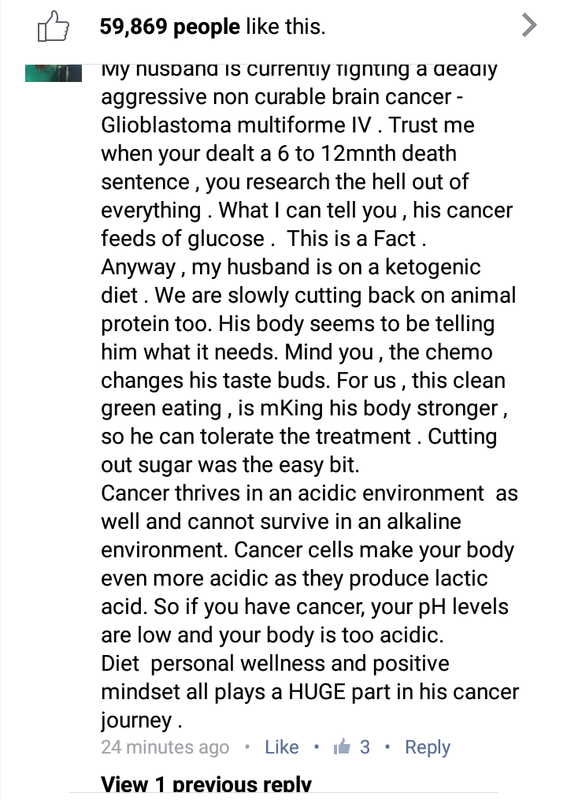 Without reading the article, people are assuming (based on the headline) that the long-held alternative medicine theory that dietary sugar feeds cancer, and that all you need to do to cure your cancer is eat no sugar. And while IFLS can’t be responsible for the myriad of nonsense cancer theories that exist on the Internet, they absolutely can do their part to not add fuel to the fire with clickbait, sensationalist, or inaccurate headlines. Science communication is important. Accurate, readable, understandable, and representative reporting of science is crucial to ensuring that the truth of a message is not lost. We’ve seen time and time again how irresponsible reporting can colour a story, and mislead the public. If you really love science, in my opinion, it behoves you to do better. In other words, it is unscientific (i.e. it doesn’t cite evidence for its assertions) and it is wrong. http://scienceblog.cancerresearchuk.org/2014/03/24/dont-believe-the-hype-10-persistent-cancer-myths-debunked/#sweet-tooth is a confused mess, but at least it cites https://anaximperator.wordpress.com/2012/09/13/sugar-depleted-diet-is-not-a-useful-cancer-cure/ which is clear. 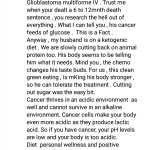 But https://anaximperator.wordpress.com/2012/09/13/sugar-depleted-diet-is-not-a-useful-cancer-cure/ does *not* give evidence that restricting carb won’t help against cancer! 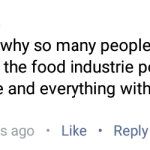 All it does is argue that “It’s complicated.”. For comparison, imagine someone in 1960 arguing against the hypothesis that cigarette smoking is a primary cause of lung cancer. They could have lots of valid arguments. 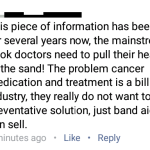 Yes, lung cancer is a very complicated and little-understood disease, yes there are probably multiple causes, yes some smokers stay free of lung cancer. But, the bottom line turns out to be that stopping smoking is by far the best thing you can do to protect yourself from lung cancer. 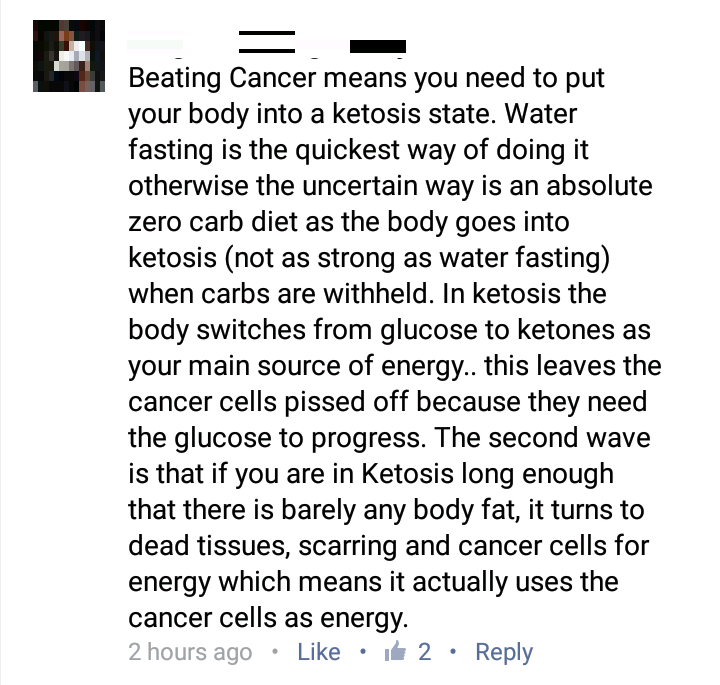 Likewise, there is nothing in our current scientific knowledge that precludes the possibility that stopping intake of carbs is the best thing you can do to protect yourself from other kinds of cancer. By the way I don’t see how http://www.ncbi.nlm.nih.gov/pubmed/23177934 should be taken as evidence that glucose deprivation won’t work. Isn’t http://www.ncbi.nlm.nih.gov/pubmed/23177934 just about cancer cells storing up glucose for later use (in the form of glycogen)? 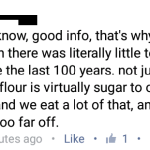 That’s not evidence that glucose deprivation won’t work! 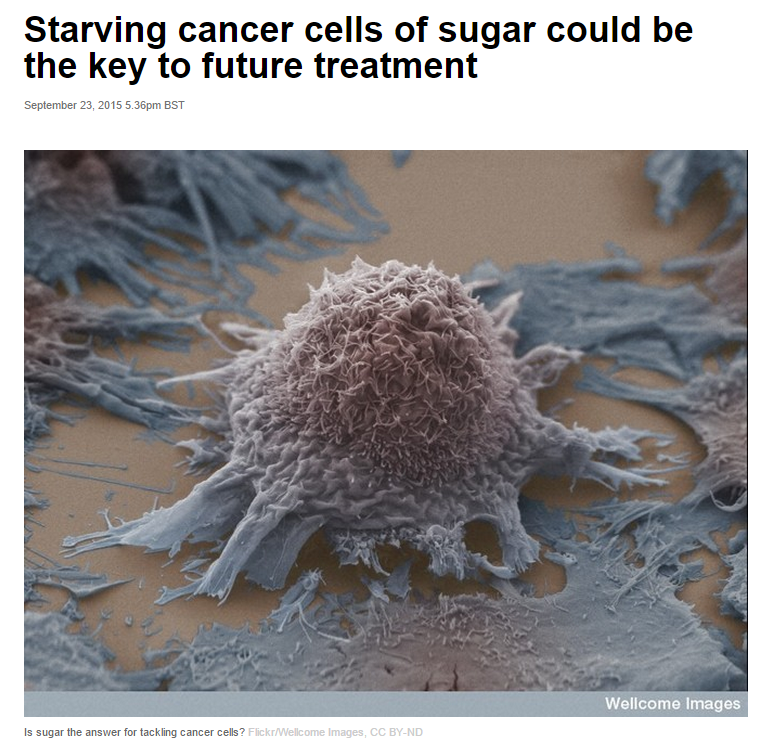 To say that “Cancer cells will always find alternatives to fuel their tank of glucose, no matter how little sugar we ingest.” is simply unsupported. Where’s the evidence for that? There is copious evidence to the contrary, starting with the http://www.researchgate.net/profile/Leon_Liebenberg/publication/258828119_Tumor_cell_culture_survival_following_glucose_and_glutamine_deprivation_at_typical_physiological_concentrations/links/00b7d52cadea54b838000000.pdf, as well as numerous mouse experiments (Mavropoulos-2009, Ho-2011, Poff-2014, Poff-2015) and case studies (Nebeling-1992, Zuccoli-2010). 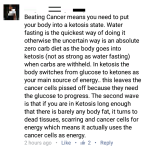 Finally, you mention that the notion of carb restriction for cancer is a “long-held alternative medicine theory”. I’d be very interested in citations or links you have to older instances of it. As far as I know it is pretty new, starting with Nebeling-1992 and then undergoing another 15 year silence after that, and I’m very interested in history, so please share why you call it “long-held”.